Emory Saint Joseph’s Hospital welcomes David B. DeLurgio, MD as the new director of Electrophysiology (EP) at the Emory Heart and Vascular Center. DeLurgio joins 17 other physicians with the Emory Heart and Vascular Center and Emory Cardiovascular Specialists in a new shared location at 5671 Peachtree Dunwoody Road, Suite 300. This suite provides a seamless patient care experience by offering a variety of cardiology services that can be managed in this convenient location. An industry leader in complex Electrophysiology cases and research, DeLurgio uses the most advanced technology to detect, diagnose and treat arrhythmias. While some patients can be treated through the use of medication or even pacemakers, DeLurgio also offers treatment through a procedure called a cardiac ablation. During this safe, minimally invasive procedure, DeLurgio uses high tech 3D images that provide an advanced map of the heart. He is also focused on the development of new cardiac ablation techniques and emerging therapies for the cure of atrial fibrillation. DeLurgio also focuses on stroke prevention in atrial fibrillation patients by using the innovative non-surgical LARIAT procedure. During the LARIAT, two catheters are guided into a patient’s heart to seal the left atrial appendage (LAA ) with a pre-tied suture loop, which is similar to a lasso. The LAA is the primary source of blood clots leading to stroke. DeLurgio is a leader in the state of Georgia for completing the most LARIAT procedures, which have been shown to decrease a patient’s risk of stroke. DeLurgio’s research is concentrated on the development and testing of cardiac stimulation devices for the treatment of congestive heart failure and the prevention of sudden cardiac death, as well as treatment of complex arrhythmias with novel ablation techniques. DeLurgio earned his degree from the University of California Los Angeles School of Medicine, and completed his residency at the Emory University School of Medicine. 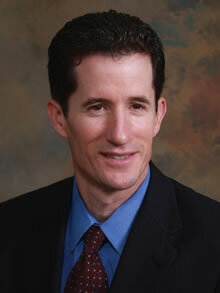 He joined Emory Healthcare in 1996 and served as the director of the Arrhythmia Center and Electrophysiology Lab at Emory University Hospital Midtown before relocating to Emory Saint Joseph’s Hospital.